Amanda trained in photography at West Surrey College of Art and Design and London College of Communication and has worked on a range of commissions and projects of galleries, museums, charities and commercial clients. Through her photographic projects she aims to reveal the hidden or unexpected stories of the people and places she encounters. Her work has been exhibited widely in the UK and internationally and is held in a number of collections, including the Victoria and Albert Museum and the National Media Museum, Bradford. She has been the recipient of a number of awards and prizes and currently lives and works in the South West of England. At present, she has just published her first book, A Fluid Landscape, with the fantastic Another Place Press. 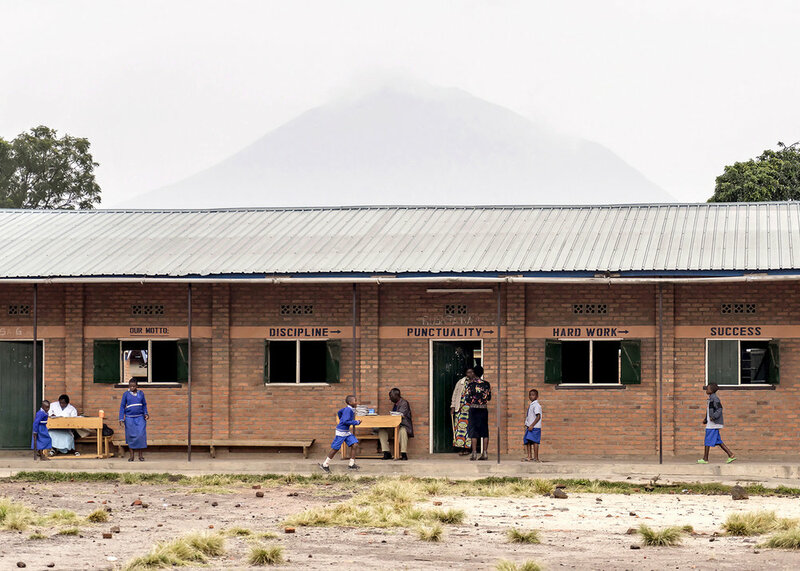 We spoke to Amanda about her series 'School Portrait, Rwanda'. Twenty four years ago in Rwanda, one of the most ferocious acts of modern ethnic cleansing took place: in the space of just 100 days around 800,000 of the Tutsi minority and moderate Hutu were slaughtered. The aftermath of the genocide has been complete restart; the current government promotes a policy of reconciliation and nurtures a shared national identity, in contrast to the colonial period when a focus on ethnic difference was encouraged to control the population. Today half the population of Rwanda are under 20 years old; they are neither Tutsi nor Hutu but simply Rwandan citizens. Education aims to promotes the values of peace, integration and citizenship which are part of the school curriculum.